Iranian New Year or No-Rouz is celebrated at spring equinox with customs dating back thousands of years in the Zoroastrian calendar. Reza Cheshmehdoost, of the Iranian Scottish Association (ISA), explains No-Rouz: "Every family tends to celebrate the actual event of No-Rouz independently. That means sitting around the Haft-Seen table and listening to the chime of the clock to announce the exact moment of the Vernal Equinox. Then, the celebrations will begin by exchange of hugs and kisses and gifts, eating and drinking. In order to introduce No-Rouz, also known as Nowruz, to the larger community and to maintain its importance for the Iranian community in Scotland as their most celebrated national day, the Iranian Scottish Association has tried over the past seven years to organise a No-Rouz celebration party for the community. Due to the fact that 21 March is not a National Holiday in Scotland, this party usually takes place on a day as close to 21 March as possible and happened on 22 March this year. The significance of this year's celebration for Iranians is that the UN has officially recognised 21 March as International Day of Nowruz." The Burrell Collection is marking No-Rouz, in collaboration with ISA, by showing the collection's prized Wagner Garden Carpet. 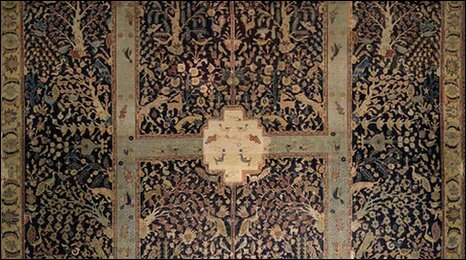 The Persian rug was woven 500 years ago and due to its delicate condition has only been on display twice in the past thirty years. The rug will be on display until 11 April with "Garden of Heaven" events celebrating No-Rouz and the Wagner Garden Carpet. The events, which are aimed at bringing the Scottish and Iranian communities closer together, include talks by gardener Penelope Hobhouse and Islamic Art scholar Professor Robert Hillenbrand, family-friendly creative art workshops and Garden of Heaven storytelling. One of the key activities will be the celebration of Sizdah-Bedar on Saturday 3 April. Reza, who is contributing rugs to the display, said: "Having a rug of this quality and importance on exhibition in our city is an exciting prospect. Hopefully having the rug on display will draw out the Iranian community in celebrating the Nowruz festivities, art collectors and rug enthusiasts alike." Reza explains No-Rouz in more detail: "This occasion has been renowned in one form or another by all the major cultures of ancient Mesopotamia. Sumerians, Babylonians, the ancient kingdom of Elam in Southern Persia and Akaddians, all celebrated this festival. 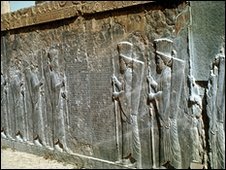 What we have today as No-Rouz with its uniquely Iranian characteristics has been celebrated for at least 3000 years and is deeply rooted in the rituals and traditions of Zoroastrian belief system of the Sassanian period. Modern Iranians celebrate New Year for 13 days only. A few days before No-Rouz colourfully dressed male troubadours known as 'Haji Firouz' appear in public and announce the coming of the New Year. At Chahar Shanbe Suri or the Festival of the Last Wednesday, ancient Iranians celebrated the last ten days of the year in their annual obligation feast of all souls. Iranians today still carry out the spring-cleaning and set up bonfires for only one night. Today the occasion is accompanied by fire works from locally made firecrackers. Wishes are made and in order to make them come true, it is customary to prepare special foods and distribute them on this night." Reza continues: "A major part of the New Year rituals is setting a special table with seven specific items present, Haft-Seen (Haft cheen, seven crops before Islam). In ancient times seven items corresponded to each of the seven creations and the seven holy immortals protecting them. Today they are changed and modified but some have kept their symbolism. Wheat or barley representing new growth and plant-life is grown in a flat dish ten to twelve days before the New Year and is called 'Sabzeh' (meaning green sprouts). Decorated with colorful ribbons it is kept till the last day and will be disposed of on 'Seezdeh beh dar', the thirteenth day of the year, while outdoors and usually thrown into running water. 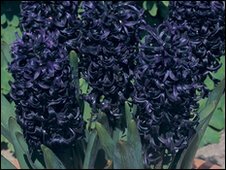 Hyacinth is always present, it represents plant-life and is also used for its scent. Mirrors are placed on the spread with lit candles as a symbol of fire. No-Rouz festivities end on the thirteenth day known as 'Seezdeh-beh-dar' which literally means 'getting rid of the omen of the thirteenth day'. On the last day of the New Year celebrations, the thirteenth of the first month, Farvardin, it is the universal custom in Iran to pass as many hours outdoors in the nature as possible. Almost all people leave their home and go to parks or local plains for a very festive picnic. It is generally believed that if people stay at home something bad can happen."